Alec Benjamin is a well-known singer and songwriter based in Phoenix, Arizona. He made waves in the pop scene in early 2013 with the release of his debut mixtape called Mixtape 1: America followed by his second mixtape in 2018. He came from a family that has nothing to do with the music, however, his love for music, hard work, and pure dedication took him to the heights he’s today. He has several hit tracks to his credits such as “Paper Crown”, “I Built A Friend”, “End of the Summer”, “Let Me Down Slowly” and “Water Fountain”. 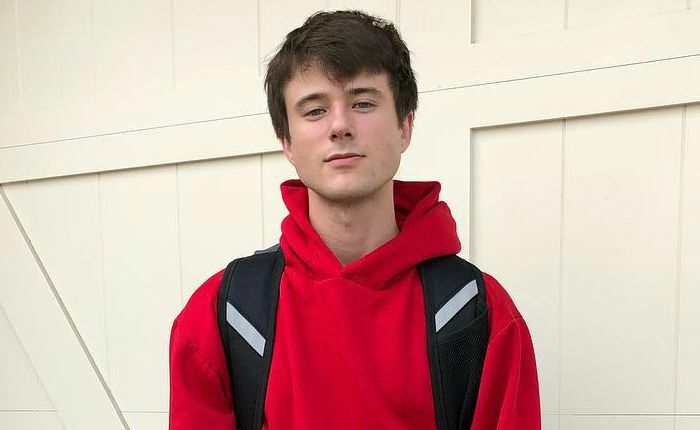 Alec Benjamin was born on May 28, 1994, in Phoenix, Arizona, USA. He’s currently 24 years old. Alec Benjamin graduated from the University of Southern California. Talking about his family, not much is known about his parents or his upbringing. The only information that we know about his family is that he has an older sister, however, her name is concealed. Alec is kind of a person who rarely opens about his personal life and thus we could hardly find any information related to his past or present relationships. Alec released his first mixtape titled “Mixtape 1: America” in 2013, followed by Narrated for You in 2018. Apart from that, he has released a number of hit singles, with a popular track “Paper Crown”, released first in 2014. His other notable tracks include “I Built A Friend”, “End of the Summer”, “Let Me Down Slowly” and “Water Fountain”. In 2018, Alec appeared in the show called “WGN Morning News”, in which he performed some of his hit tracks. He is best known for his songs Paper Crown, End of the Summer, I Built a Friend, Let Me Down Slowly, The Boy in the Bubble, If We Have Each Other, Death of a Hero, Outrunning Karma, and 1994. His net worth is estimated to be around $1 million, however, the exact details about his fortune is uncertain. He grew up listening music of popular artists such as Paul Simon, Eminem, and Dr. Dre. Alec never had an inclination to become a singer when he was young but during high school, he became serious about music. He is a self-taught guitarist. At age 16, he began writing his own songs and composed them by using computer software. He came out of his comfort zone and traveled to Los Angeles several times to meet people in the industry. But nothing helped him until he met Sacha Skarbek, a songwriter, through a common friend and they started writing songs together. Alec Benjamin gained significant fans through concerts and tours lately, and not long before, he signed a deal with an independent label ‘White Rope’ and released his debut mixtape, ‘Mixtape 1: America, in 2013. He has collaborated with artists such as Jon Bellion and has featured in the track “New York Soul Pt. ii” from Jon’s album The Human Condition. Alec’s music is heavily influenced by artists such as Eminem and Paul Simon. He is a camera-shy person. Alec has worked with artists such as Camila Cabello, a Cuban-American singer-songwriter and Alessia Cara, who is a Canadian singer, songwriter, and instrumentalist.